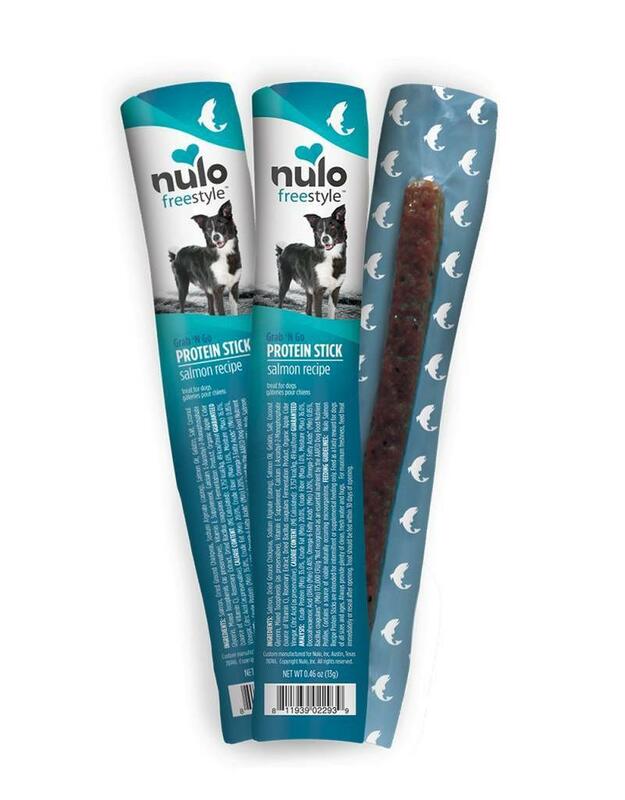 Salmon Recipe Protein Sticks are packed with 80% salmon to deliver the boost your pup needs to keep the adventure going strong! Whether you are taking a stroll in the park or hitting the trails for an afternoon, these treats are sure to satisfy! Easy to bring along for the trip, these ndividually-wrapped treats can easily be broken into smaller pieces, or served whole as a special grab n’ go snack! Ingredients: Salmon, Dried Ground Chickpeas, Sodium Alginate (casing), Salmon Oil, Gelatin, Salt, Coconut Glycerin, Mixed Tocopherols (as preservative), Vitamin E Supplement, L-Ascorbyl-2-Monophosphate (source of Vitamin C), Rosemary Extract, Dried Bacillus coagulans Fermentation Product, Organic Apple Cider Vinegar, Citric Acid (as preservative).